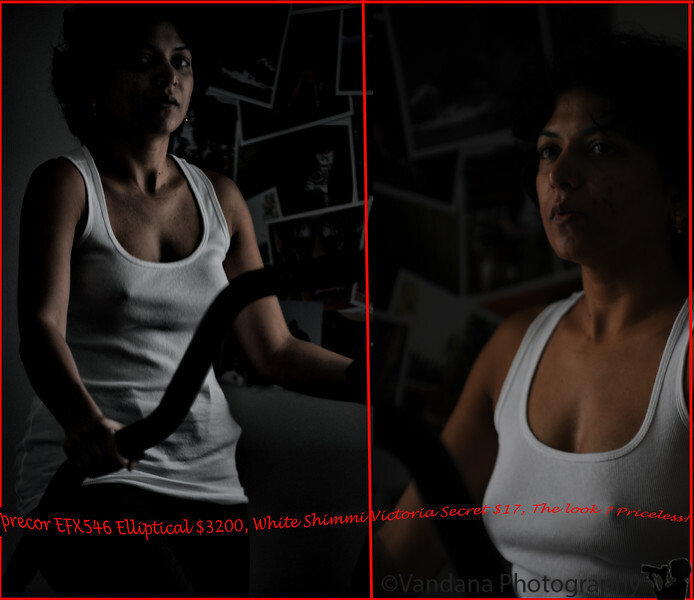 December 13, 2009 - Precor EFX546 elliptical $3200, White camisole Victoria 's secret $17, the look ? Priceless. Great lighting on the shots and I love the concept and words. Excellent photos, OMG love love love the caption!!!!!! PERFECT!